The Electronic Materials Research Lab (EMRL) consists of the Institut für Werkstoffe der Elektro­technik II (IWE II) at the RWTH Aachen and the Institut für Elektronische Materialien (PGI-7) at the Peter Grünberg Institut (formerly IFF) of the Forschungszentrum Jülich. Both EMRL sites are operated under the co-directorship of Prof. Dr. Rainer Waser, and have been founding members of the section Fundamentals of Future Information Technology of the Jülich Aachen Research Alliance (JARA-FIT). 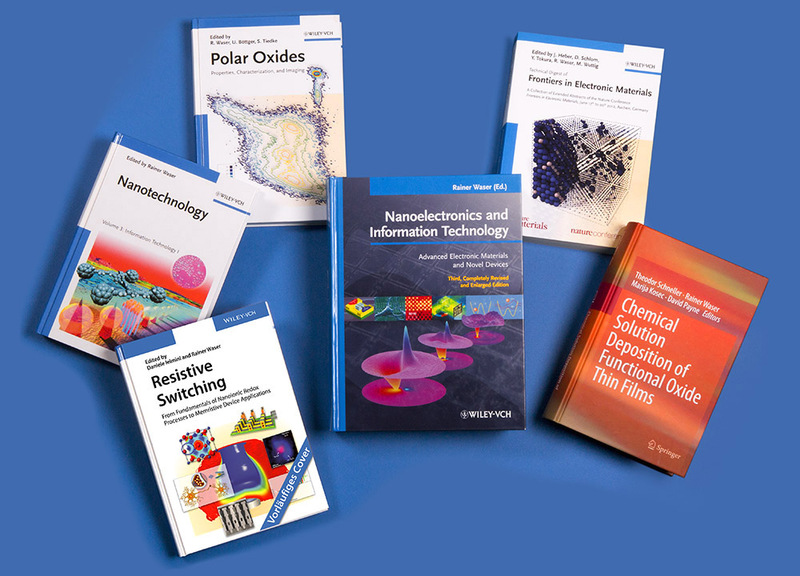 Our education covers the fundamentals of electronic materials and devices for applications in information technology and related fields such as communication technology, energy storage, sensors and actuators, etc.. Our research at the EMRL Jülich site is focused mainly on electronic phenomena in oxides, in particular transition metal oxides, and dedicated electronically active organic molecules. At the Aachen site, we emphasize the development of novel electronic equipment, modelling and simulation, as well as the materials research and the fabrication of integrated microdevices. At both sites, we are engaged in topics which are promising for future nanoelectronic devices and related application areas. The equipment at the EMRL comprises a broad spectrum of facilities for the fabrication and characterization of electronic materials and devices.